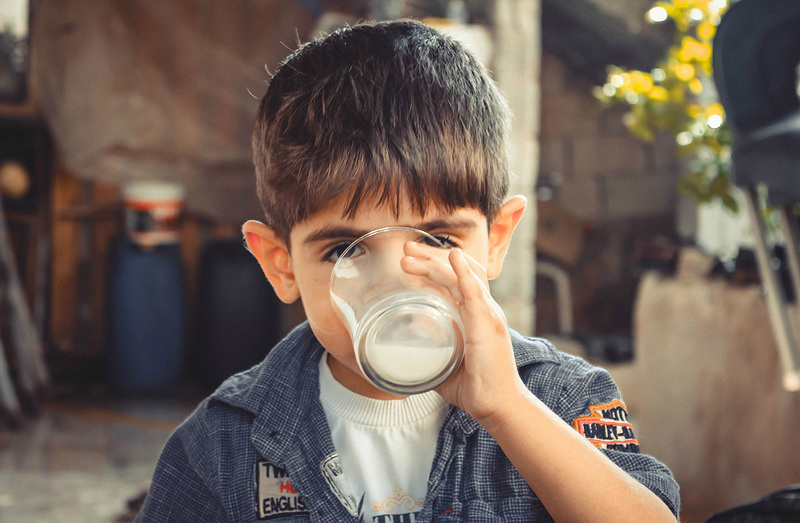 As a child, you learn to drink milk because “milk builds strong bones.” It’s actually the calcium within milk and other dairy products that builds bones and maintains bone structure, even the ones located in your spine. According to American Bone Health, 75% of Americans do not get enough calcium. But why is calcium so significant? The Cervical (Neck) Region contains 7 vertebrae. The Thoracic (Chest) Region contains 12 vertebrae. The Lumber (Lower Back) Region contains 5 vertebrae. Your spine is instrumental in providing the body with strength, support, flexibility, and a range of movements. When these bones become weak or brittle, there is an increased risk of serious spinal problems. Good nutrition and a healthy, balanced diet are important for your spine. Consuming foods that contain calcium is essential for preserving bone mass to support your skeleton. The body also uses calcium to perform muscle and nerve functions, and maintain your heartbeat. Because you lose calcium through natural bodily processes like sweating and shedding hair, skin, and nails, you need to replenish your calcium levels every day. Otherwise, the body pulls calcium from your bones, weakening them, and making your body more susceptive to spinal fractures and osteoporosis. A Calcium-Rich Diet: How Much Does Your Body Require? Children ages 1-3 should get 7oomg daily. Children ages 4-8 should get 1,000mg daily. Children and teens ages 8-18 should get 1,300mg daily. Adults ages 19-50 should get 1,000mg daily. Men ages 51-70 should get 1,000mg daily. Women ages 51-70 should get 1,200mg daily. Adults ages 71+ should get 1,200mg daily. *2010 Institute of Medicine Recommendations provided by American Bone Health. Skip the soda. Increased phosphate levels can prevent the absorption of new calcium. Eat plenty of veggies. Dark, leafy greens such as spinach, broccoli, kale, and collard greens are high in calcium, with almost 100mg per serving. Snack on nuts. Almonds are low-carb nuts that also contain almost 100mg of calcium per serving. Buy “calcium-fortified” foods and drinks. Fruit juices (like orange juice), plant-based milks (soy/almond/rice), breakfast cereals, and breakfast bars are now calcium-fortified. Try canned salmon. It contains calcium and omega-3 fatty acids. Proper nutrition is just the first step protecting and strengthening your spine. For over 25 years the caring, compassionate, and knowledgeable staff at William Capicotto MD PC has treated patients with neck and back pain. Our goal is to restore mobility and get you back to doing the things you love best. Contact us to set up a consultation or learn more about your spine, back and neck pain, plus other ways to reduce pain and keep your spine healthy.